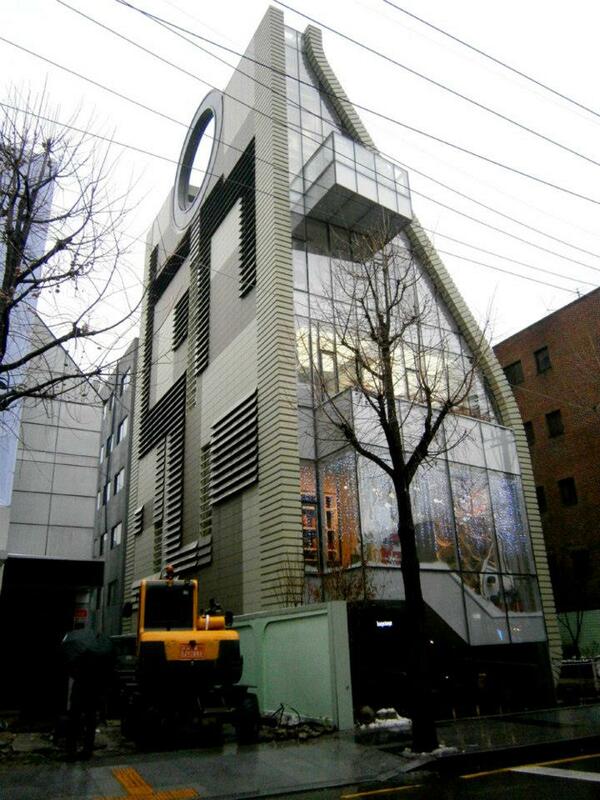 Even in a rainy day, we had no problem finding the Bagstage building as it was very remarkable even from a distance — it looked like a handbag with a metallic round handle on the top. There was no mistaking that we have reached the correct place. 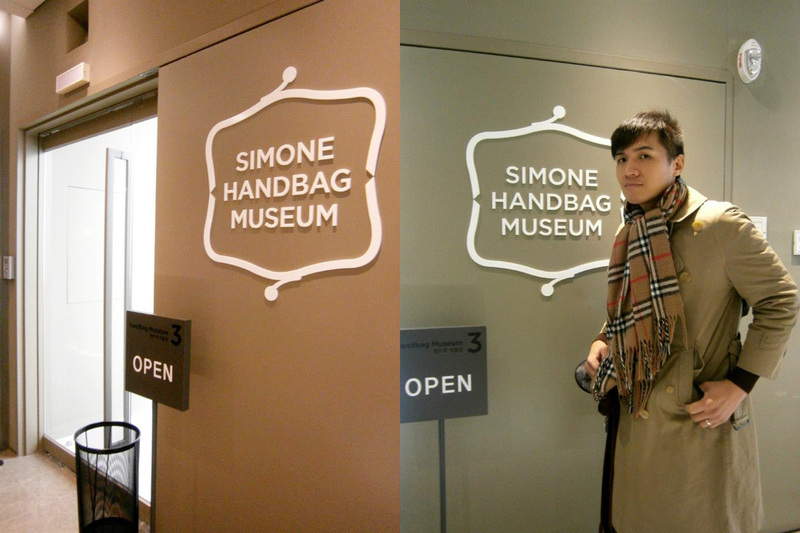 Simone Handbag Museum is, as the name suggests, a museum dedicated to anything related to purses and handbags. It was a project of Kenny Park of Simone Acc. 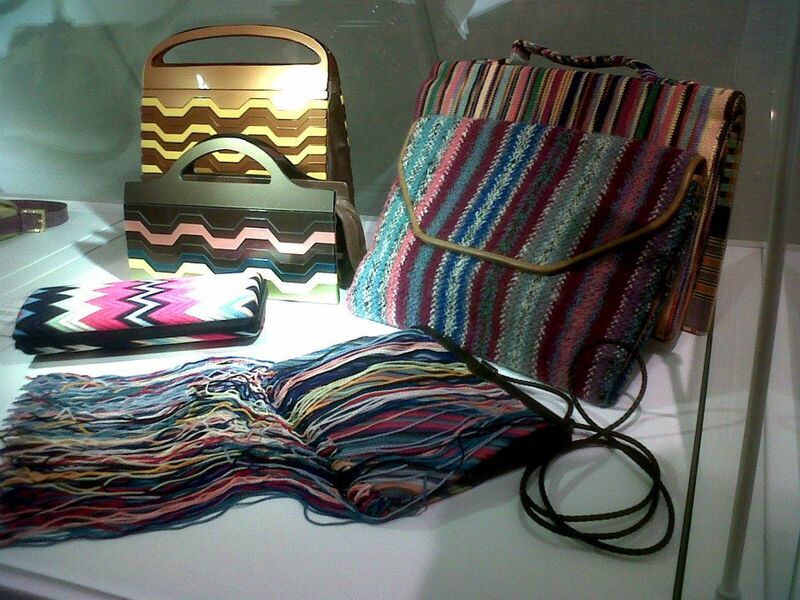 Collection Ltd., the company responsible for distributing designer handbags such as Marc Jacobs in Seoul. It was opened in 2012, the same year as the 25th year anniversary of the firm. Upon the building’s entrance, one can immediately see the floor directory. 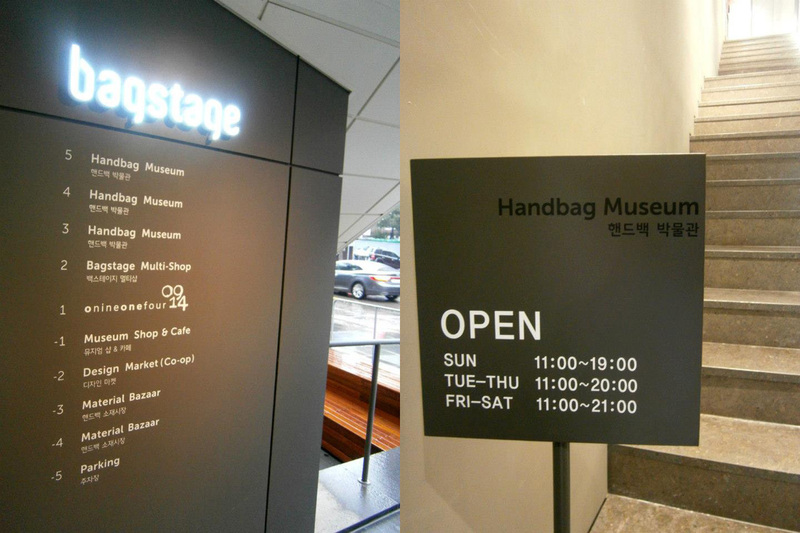 The museum entrance is situated in the third floor, where you can pay the KRW 5,000 (barely US$ 5) admission fee. Two pamphlets were given to us — one containing detailed descriptions of every item in the Modern Gallery (3rd floor) and Historical Gallery (4th floor); while the other was a short one discussing the inspiration behind the curation of the Special Exhibition “Carosello Italiano” (5th floor). 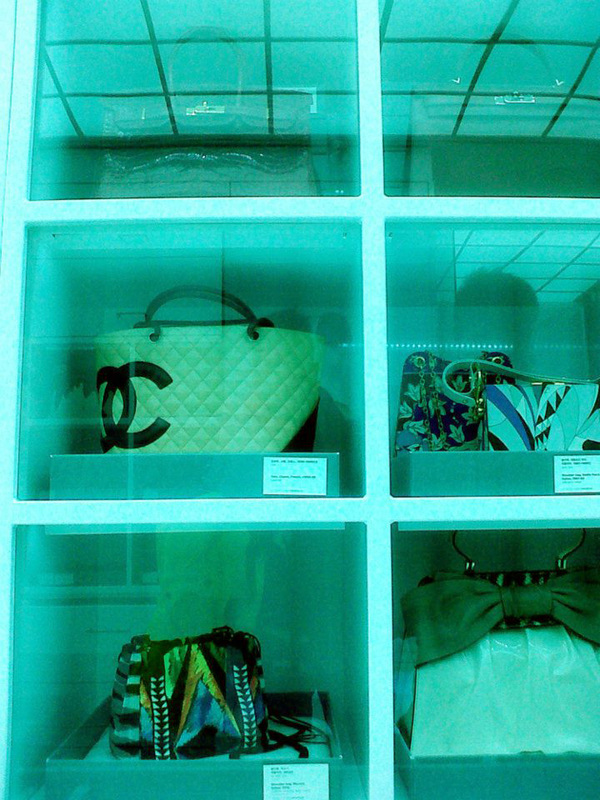 We started in the Modern Gallery, which houses bags from 1900 upto the present day, and most bag lovers will immediately recognize iconic items such as the Prada nylon backpack, the Hermès Birkin and Kelly, the Chanel Cambon Tote, Dolce & Gabbana Miss Sicily and a Gucci Bamboo Top Handle bag, which was even donated by Gucci to the museum. 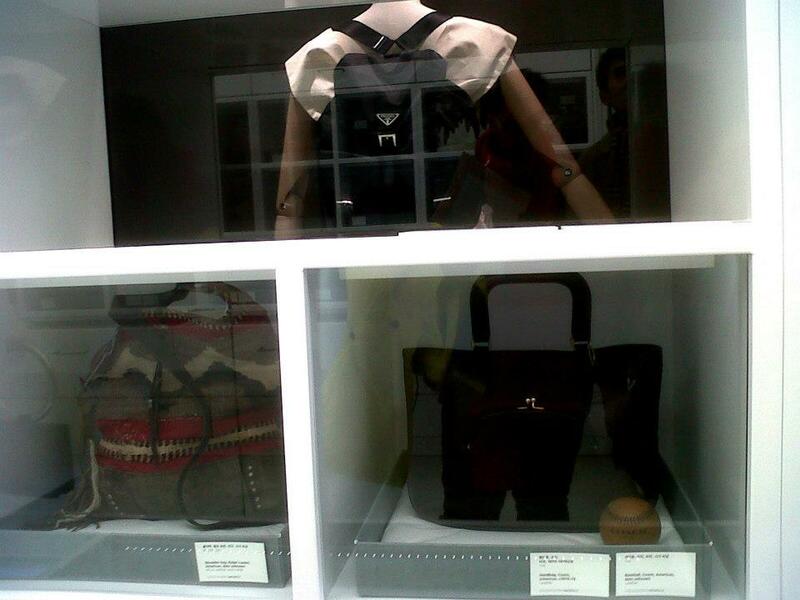 Prada nylon backpack (1980-89), Ralph Lauren shoulder bag, Coach handbag (1970-79) and Coach baseballAside from these, there were also a lot of interesting items which I have never personally seen before, such a Coach baseball, the Moschino melted chocolate bag and a Céline Vertical Cabas Tote with a mustang print in gold. 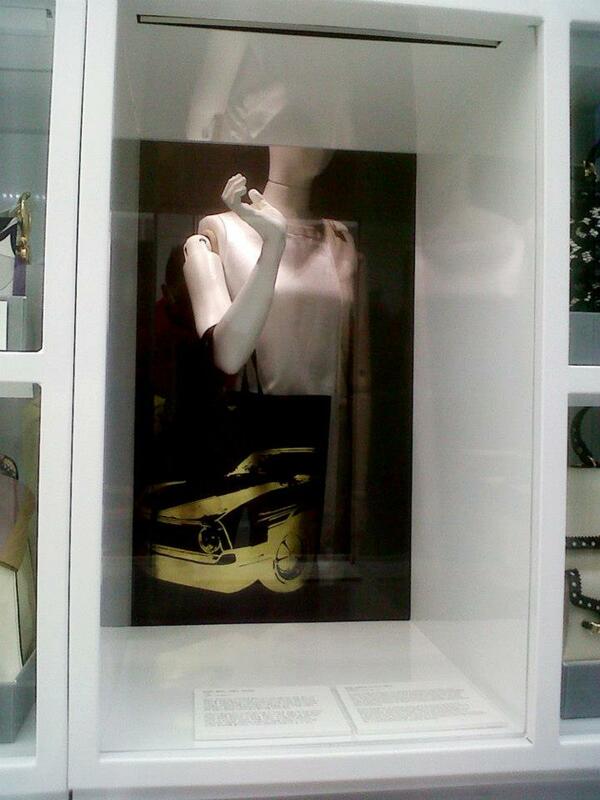 They also have this quirky Maison Martin Margiela glove handbag in a mannequin clad with a white long goat hair gilet. 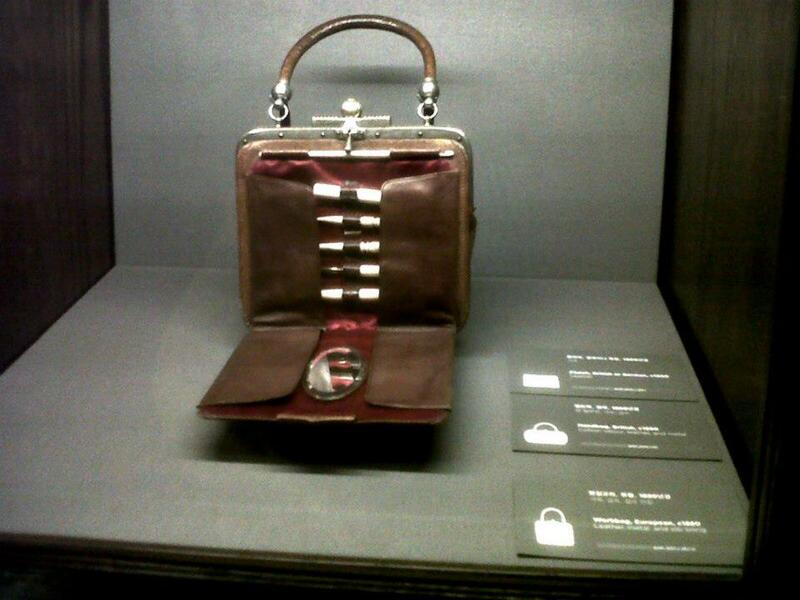 This literal handbag was, if I’m not mistaken, reinterpreted in the recent Margiela x H&M collaboration. 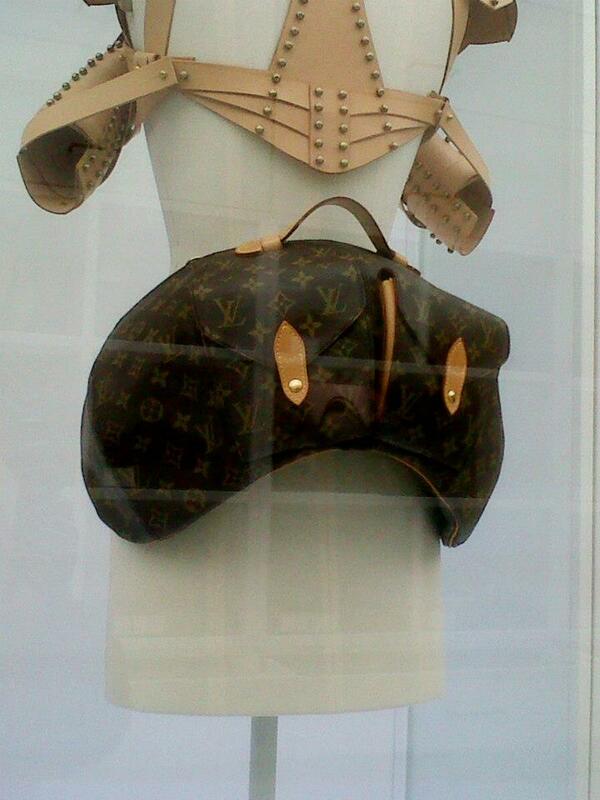 On another mannequin was the bum bag created by Vivienne Westwood for Louis Vuitton in 1996. 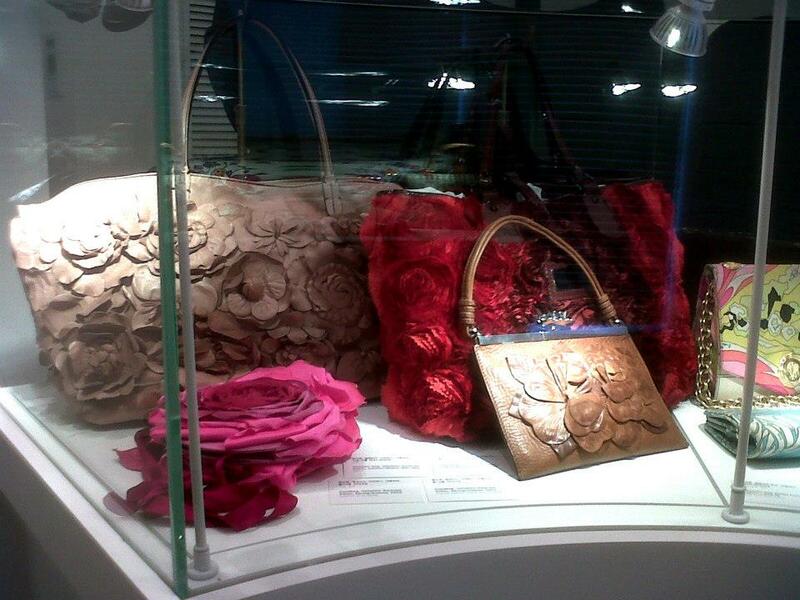 Also, I forgot to mention that they also have an Alexander McQueen Union Jack clutch on display right in front of the reception area. But the two pieces in this floor of historical interest were the items previously owned by the American socialite Wallis Simpson a.k.a. the Duchess of Windsor. If you have watched Tom Hooper’s The King Speech or even the Madonna-directed movie W.E., she was the same person for whom King Edward VII had abdicated his throne just to marry her. 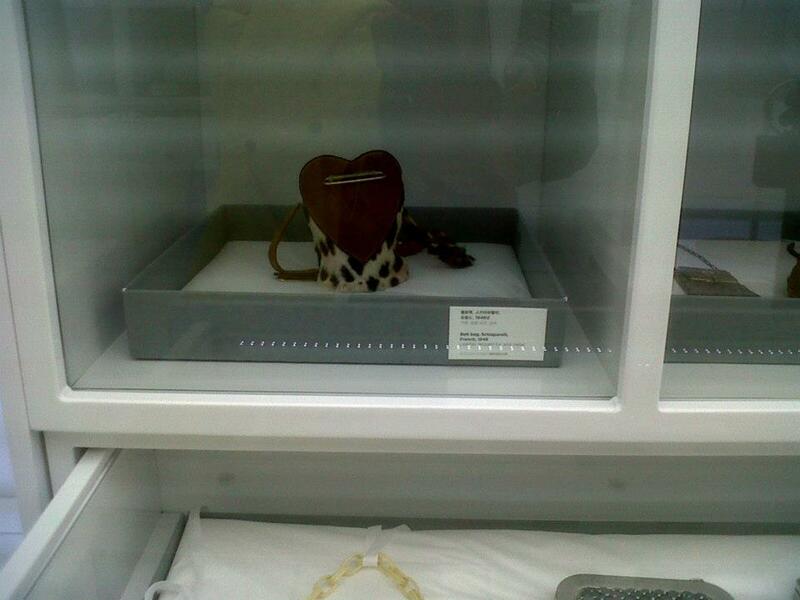 One of the items on display was this Elsa Schiaparelli belt bag made out of leopard fur. The Duchess was so fond of Schiaparelli that she even wore THE lobster dress that was made in collaboration with Salvador Dali. 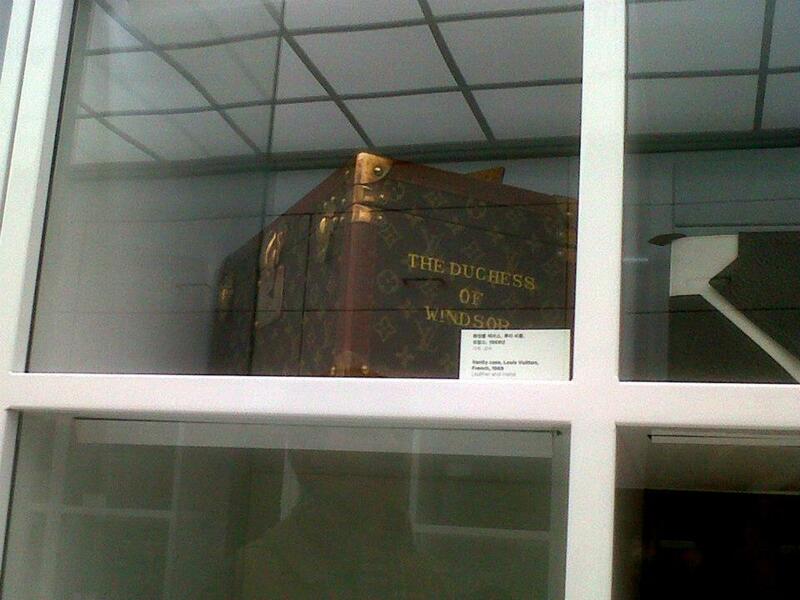 Another item was a Louis Vuitton vanity case, bearing her title ‘The Duchess of Windsor‘ on one side. 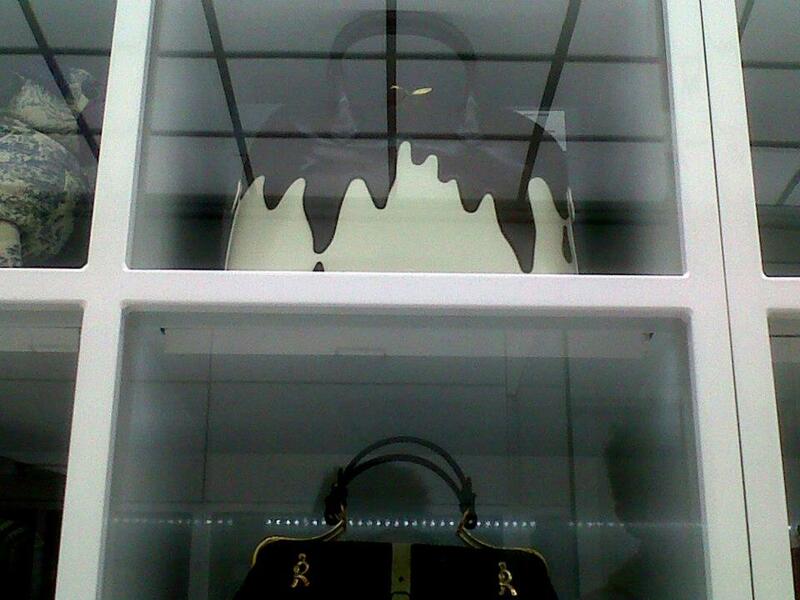 It was at the topmost shelf, at the same level where the Birkin and Kelly were located, as if making any attempt to steal them difficult because these items were exceptionally valuable. 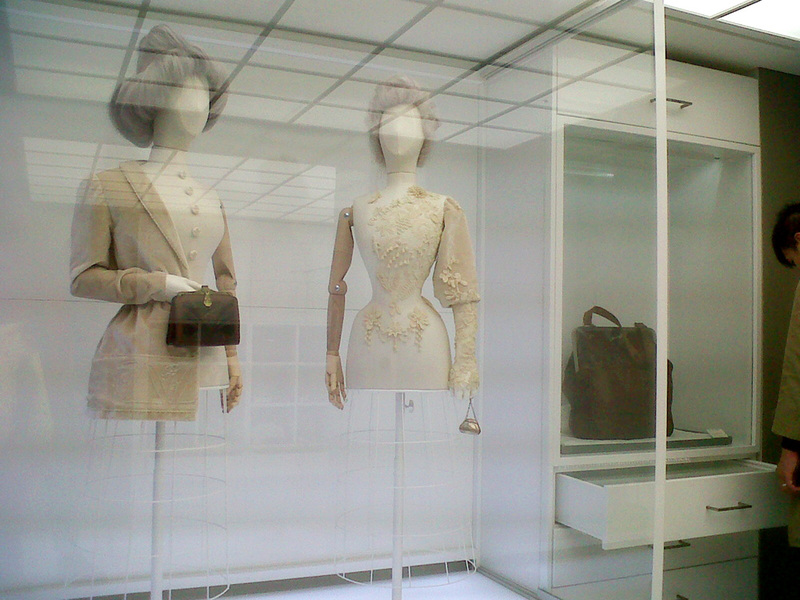 Before exiting the 3rd floor, there was also an installation with two mannequins and an extremely old French courier bag. 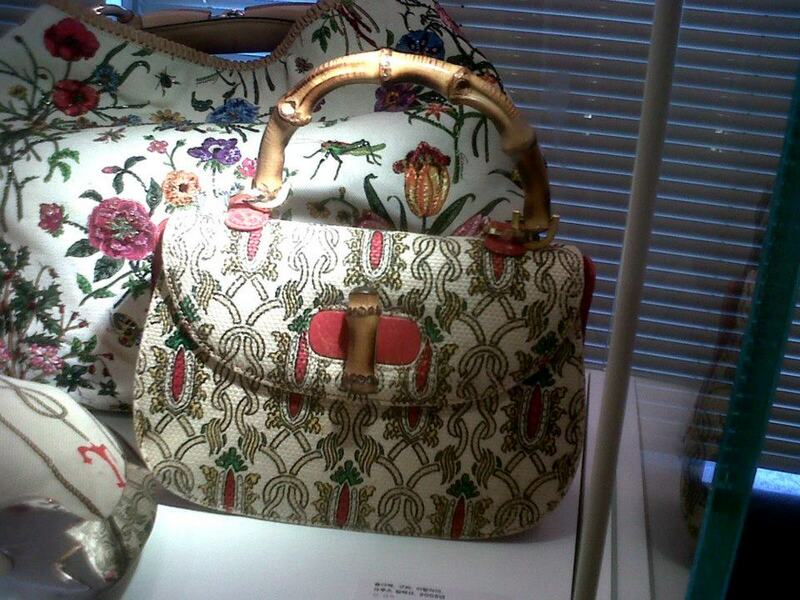 The Historical Gallery (4th floor) houses handbags that are made earlier than 1900, and as far back as 1500s. 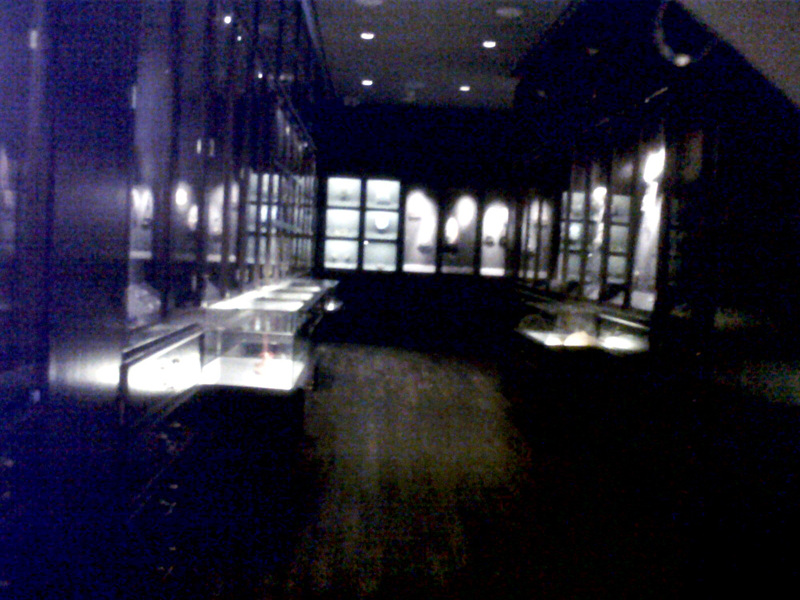 The items are arranged in a very dramatic space: wooden cabinets under low-lighting, with a slight hint of, what Mon noticed, the embalming liquid. O_O I don’t have any recollection of that scent but it creeped me out a bit to hear what it was. 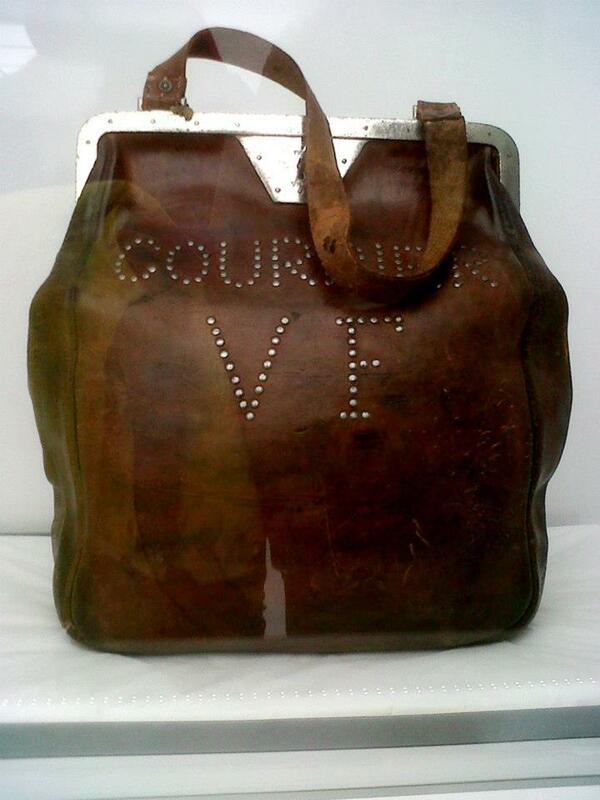 But of course, if these bags date back from more than two centuries, then something must be done to preserve them, especially some of the bags were made in delicate and organic materials such as fabric and leather. 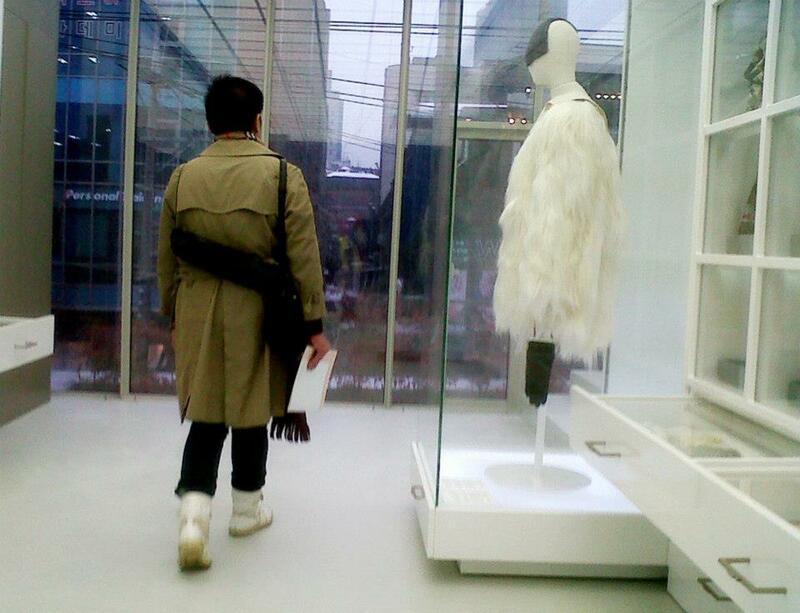 Coming from the almost-clinical white Modern Gallery, the stark difference of the installation atmosphere seemed superficial if we would compare the drastic size difference of the items between the two galleries. 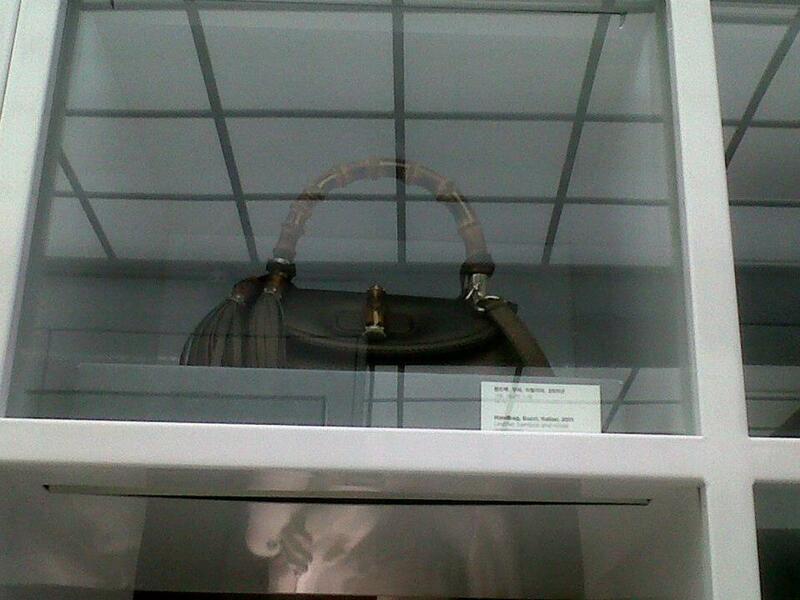 As the description in the wall iterated: “Until the late 19th century, handbags were not required the multiple objects necessary for a full day“; which explains the size and choice of material used. 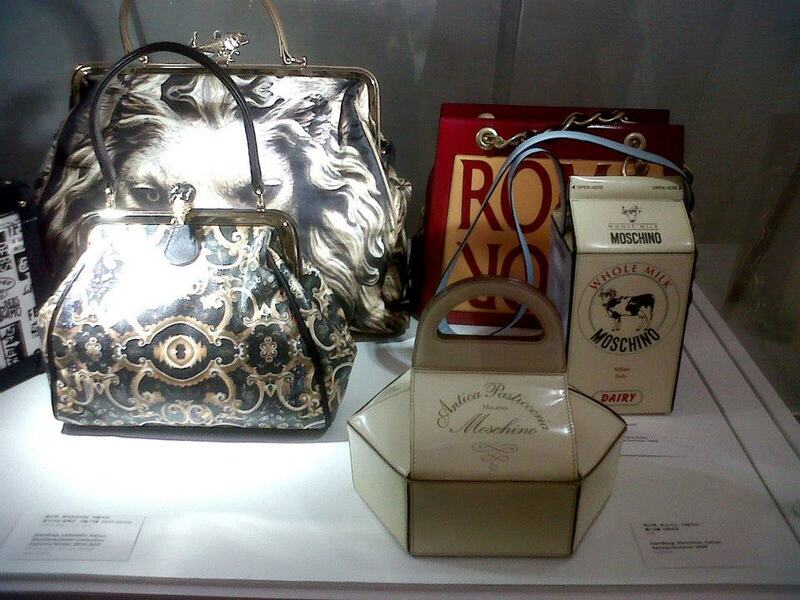 Some items are even made entirely in metal such as a Boucheron gold purse from 1880s! 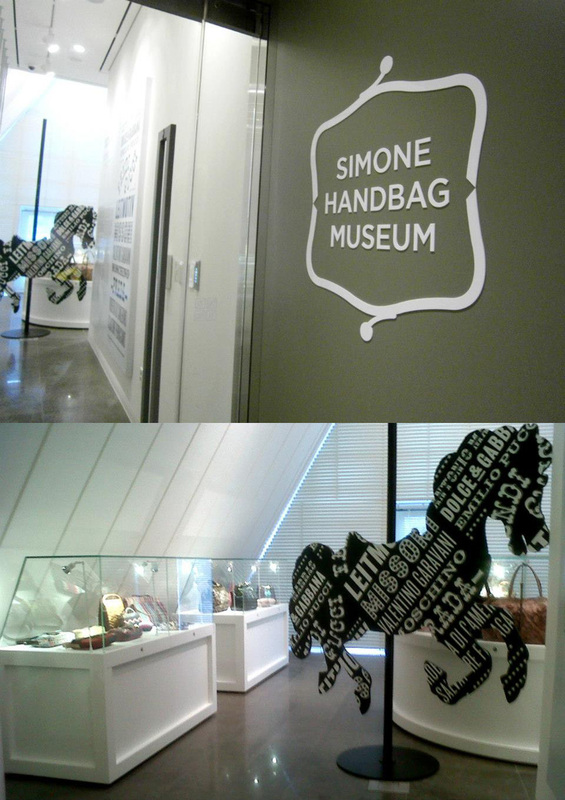 On the 5th floor containing “Carosello Italiano“, a horse-cutout bearing the names of the brands featured in the exhibition would greet you upon entering. 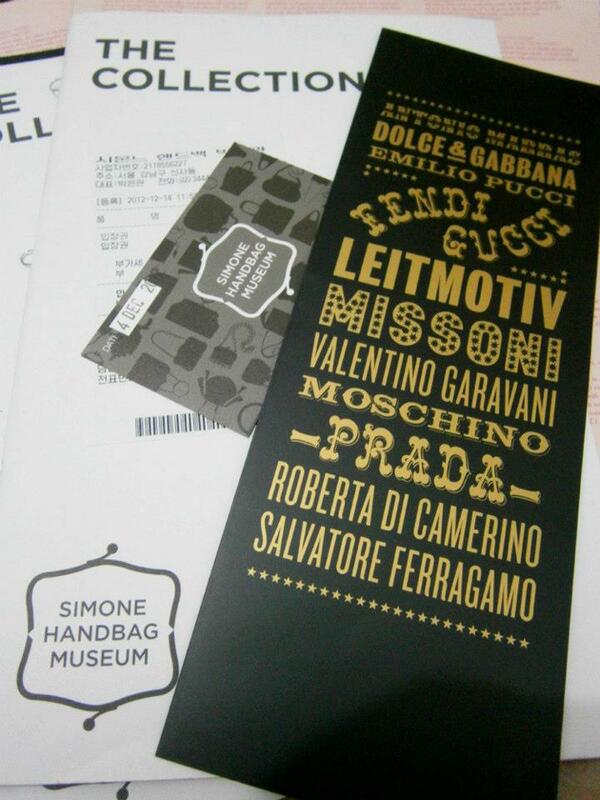 Now, this is a happy place because I was able to see reinterpretations of some items of the brands I am already familiar with (Gucci and Fendi), as well as artsy pieces like the bags from Moschino. 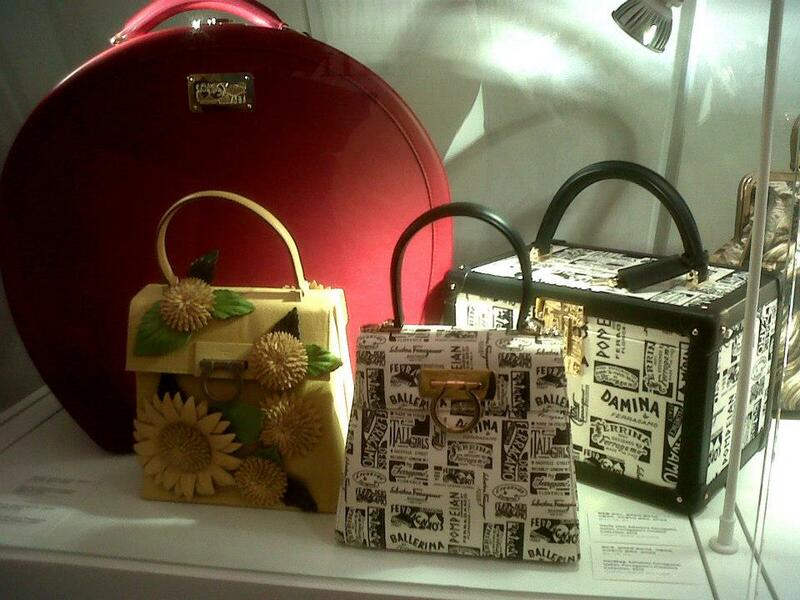 The exhibition was curated by the outstanding Maria Luisa Frisa, an Italian fashion critic and curator, who puts an analogy between the temporariness and playfulness of a carousel to handbags made by Italian fashion houses. 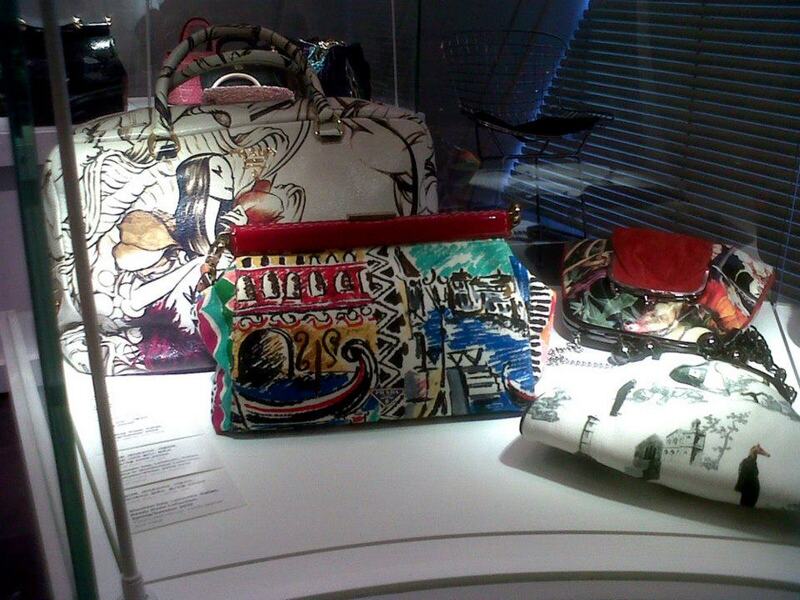 I was most especially happy to see the Prada Fairy bag to be included here because I remember it as one of the representatives of my inauguration to appreciating bags, when I saw it on Prada S/S 2008, most especially with its ad campaign featuring Sasha Pivovarova and her doppelgangers. 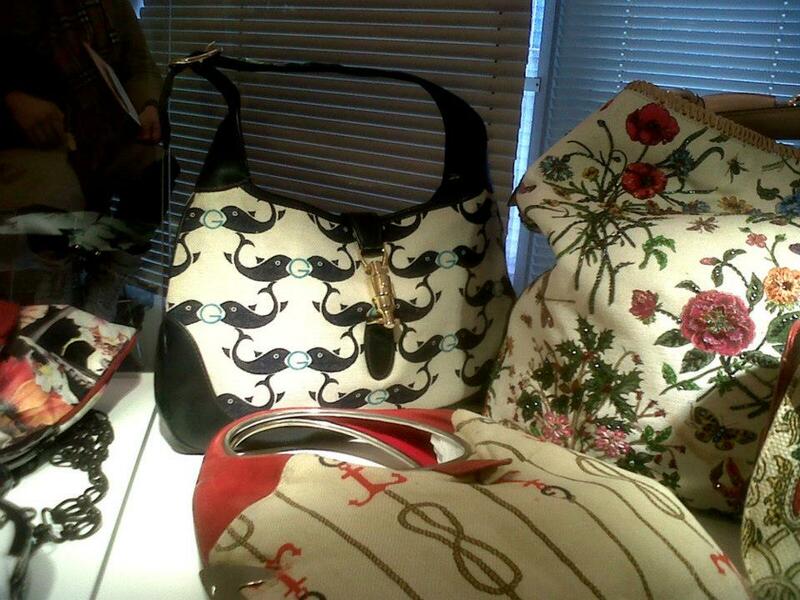 There were also four Fendi baguettes in varying degree of playfulness, as well as vintage Gucci bags in curious print on canvas I have never personally seen before, especially the Bamboo Top Handle one. 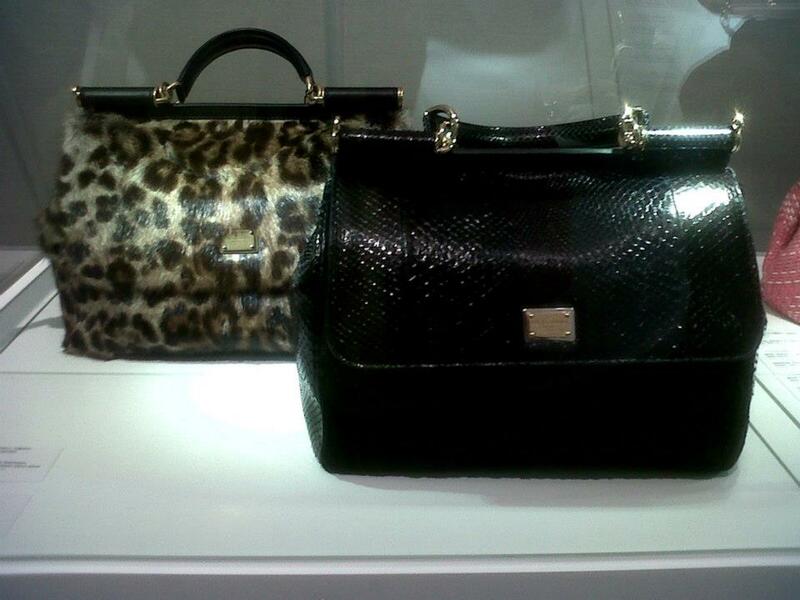 I was not too sure with one of the Dolce & Gabanna Miss Sicily on display, though, because aside from the astrakhan, python or any snakeskin really scares me (Note: I have a phobia of snakes). 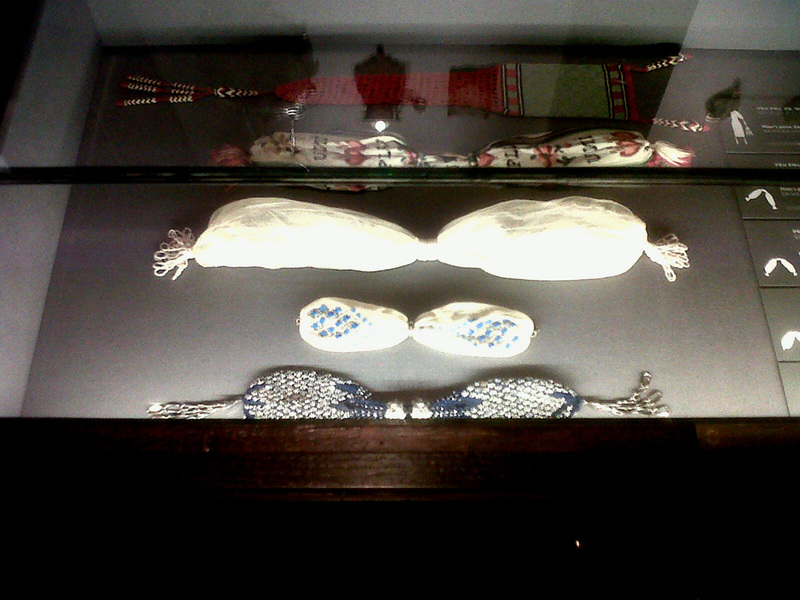 The corridors of the 3rd and 4th floor (if I’m not mistaken) also had interesting things on display. 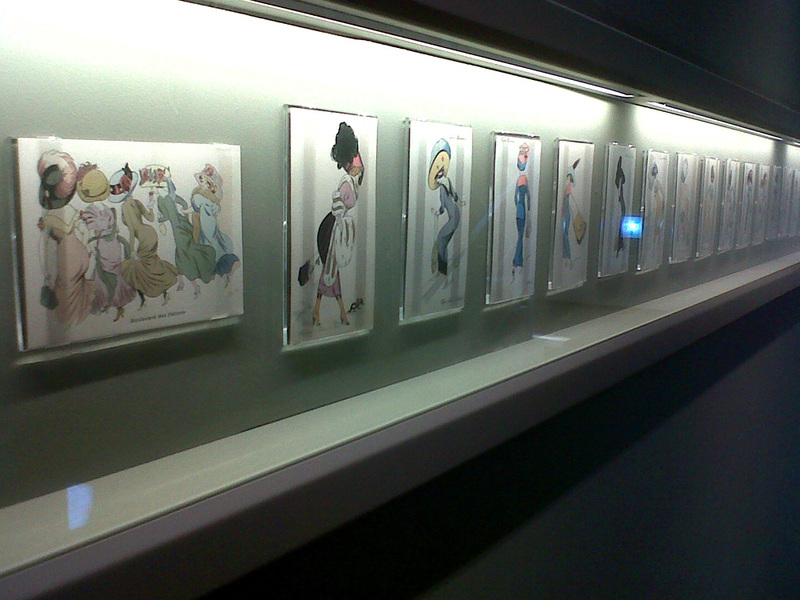 One has a series of postcards with women and their handbags, as drawn by Xavier Sager from 1909 to 1912. 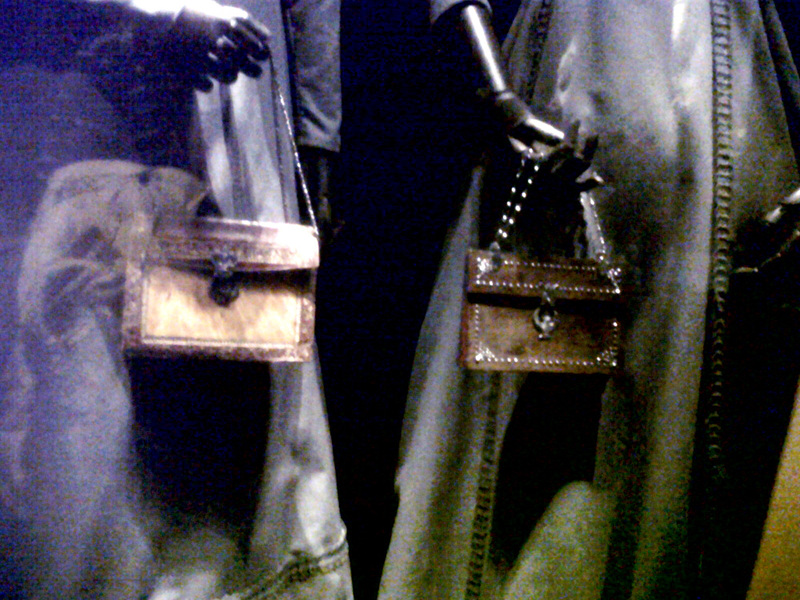 The other one was a row of intricately embellished and decorated handbag frames and clasps. 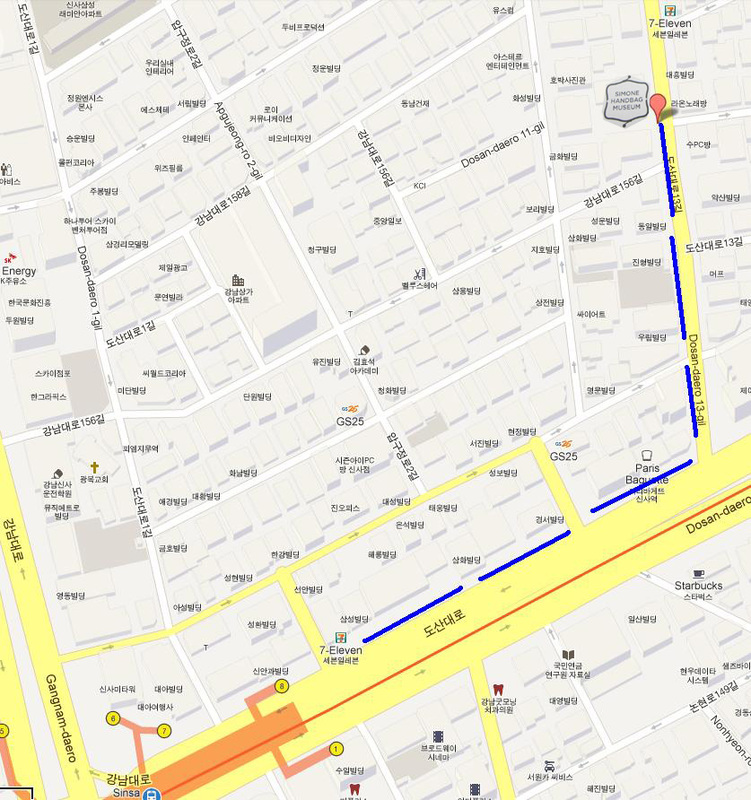 1) From wherever you are in Seoul, just do your best to reach Sinsa station, which was a station away from Apgujeong —meaning you will be crossing the Han River if coming from Downtown Seoul. 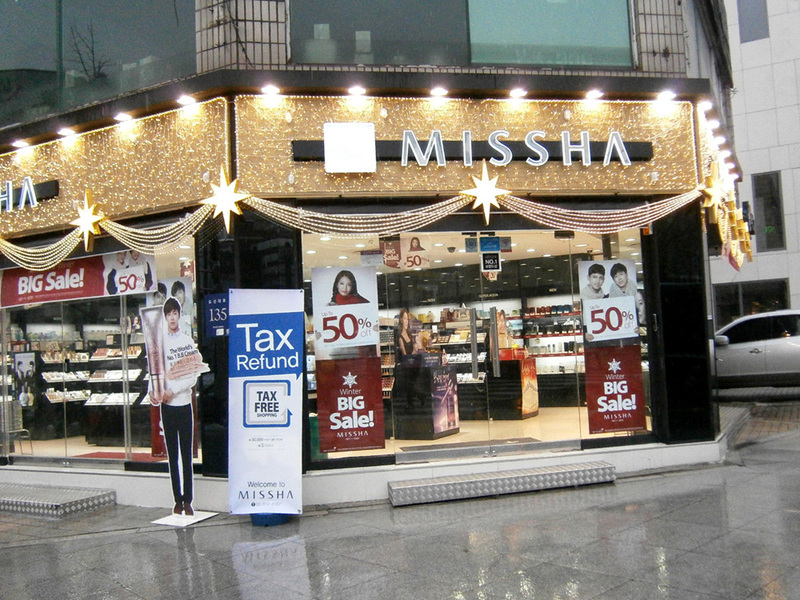 3) Turn left, from where the MISSHA store was located and walk the length of the street, preferably walking on the left sidewalk. 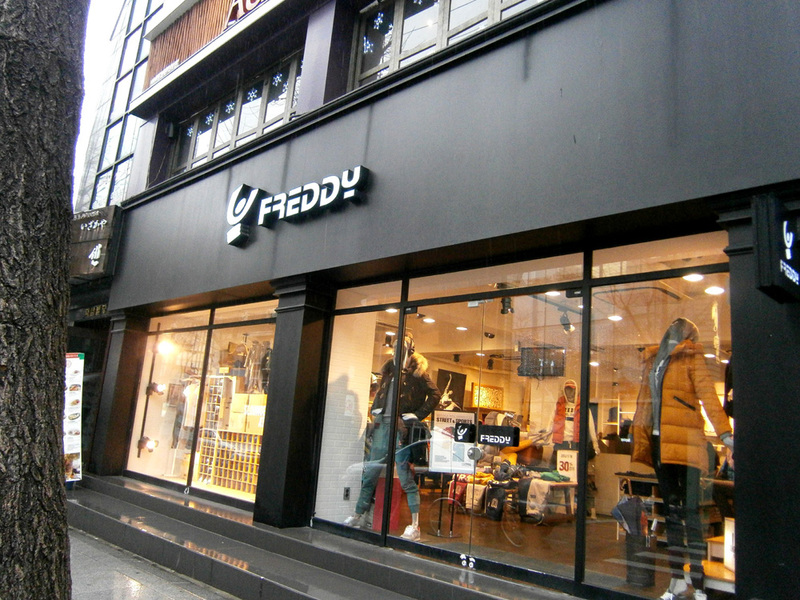 4) Walk the length of the road until you the Bagstage building to your left, which was approximately right across the street from the FREDDY store. 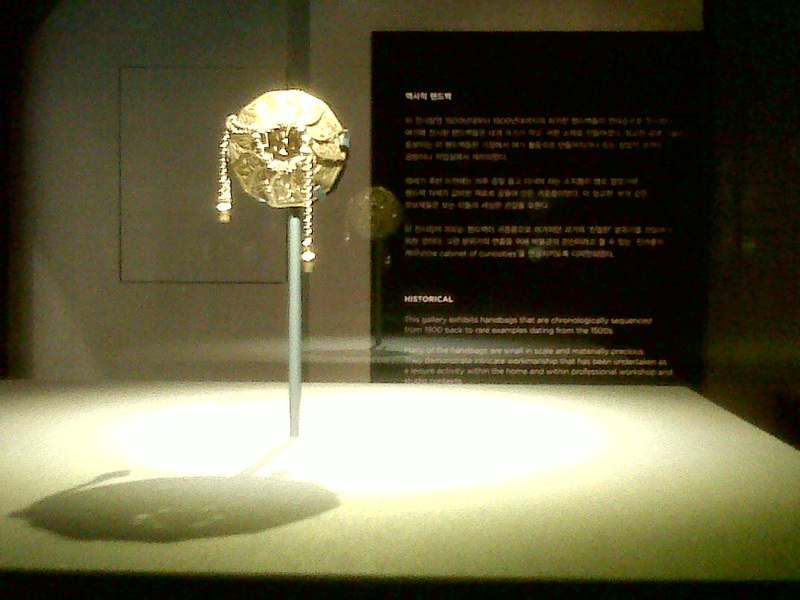 We had an extremely great time in the museum and I was very delighted to have finally seen the exhibit. 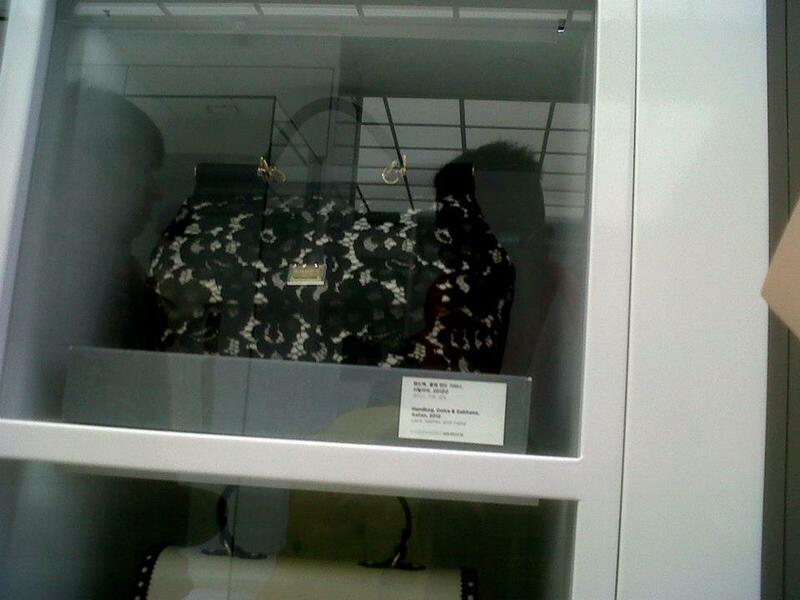 I looked forward seeing the modern bags, but I had an equally great time looking at the Historical Gallery and marvel the history behind those tiny items. The amount of work done on them and their utilitarian significance largely speaks of the changing roles that women played during different times. 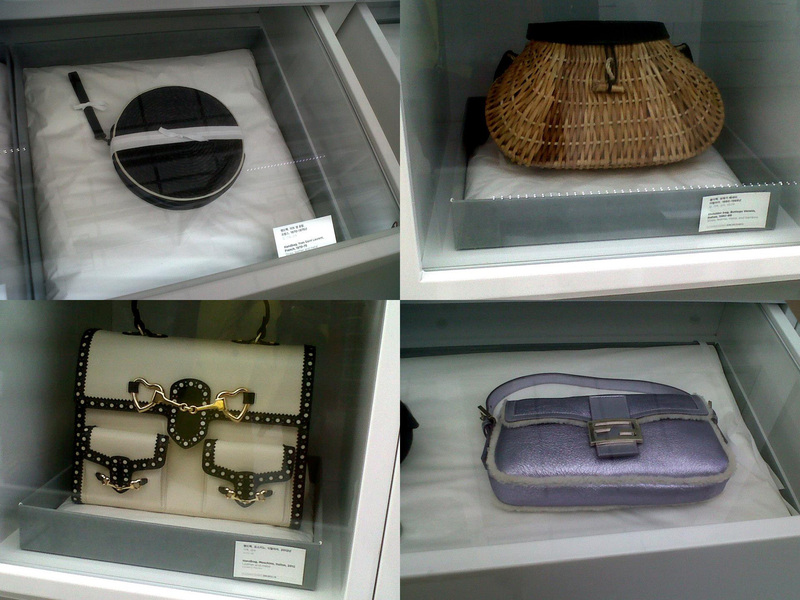 Admittedly, it has a smaller collection as compared to the Museum of Handbags and Purses in Amsterdam, but I was impressed with the amount of work done in curating the museum. Again, the difference in the atmosphere done between the 3rd and 4th floor galleries was well-thought-of. 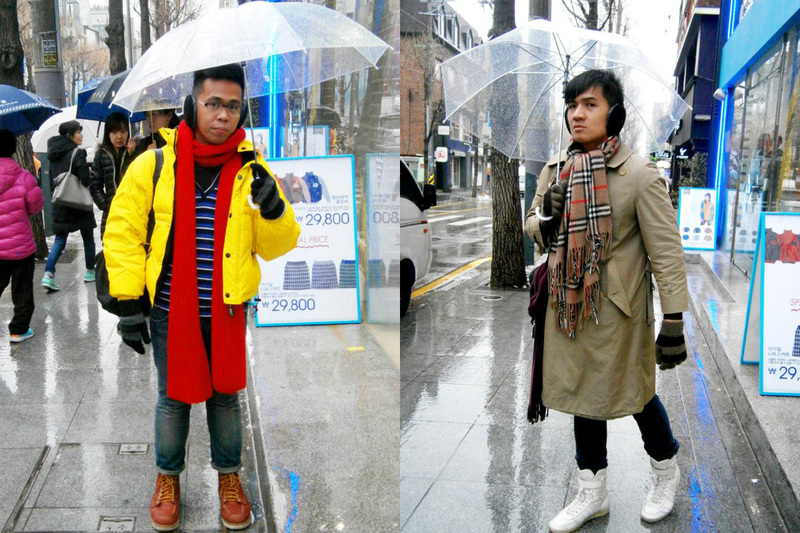 We, unfortunately, had no time to visit the Bagstage Multi-Shop and onineonefour because we had to rush to eat lunch before going to Lotte World. 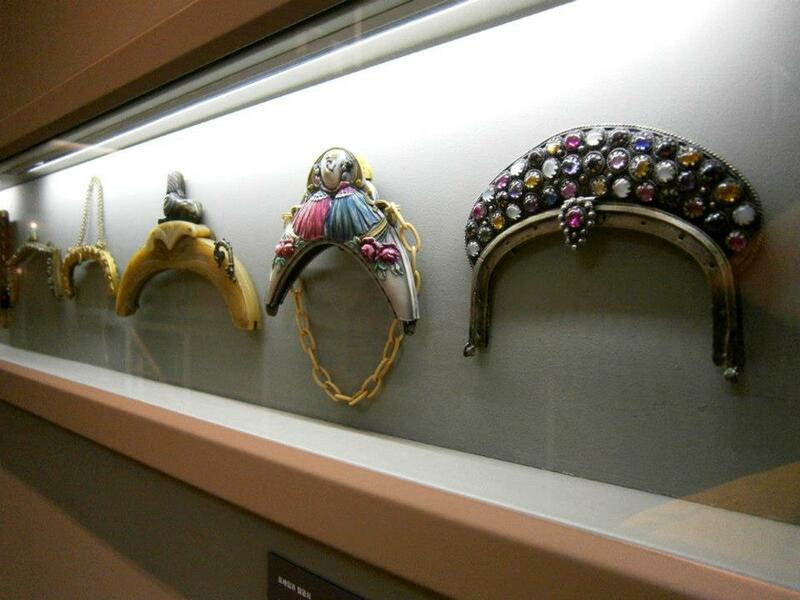 It boggles my mind how I still wasn’t able to visit the Shoe Museum in Marikina City — I live in that city! 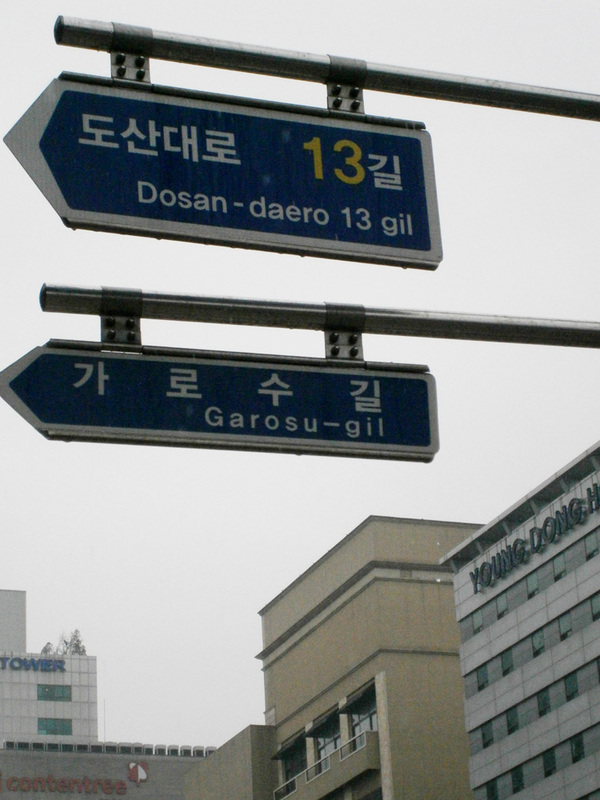 This is helpful, I wanting to go there too if in Seoul!